Saturday Art-Time, the National Gallery of Jamaica’s premier child art programme resumed its second term, on Saturday, January 13, 2018 and will run until March 24, 2018. 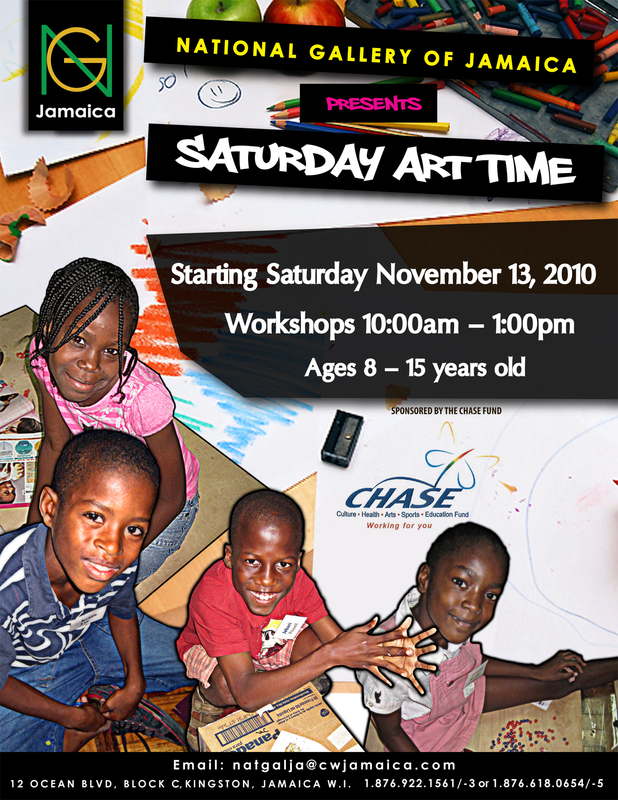 Coordinated for youngsters from ages 8 to 15 years old, Saturday Art-Time is a weekly series of art-making workshops. It seeks to provide an opportunity for its young participants to immerse themselves into the world of art and art-making, within the environment of the National Gallery of Jamaica, the largest public art museum in the English-speaking Caribbean. The programme has been highly subscribed by its participants and their families, as well as by school groups from a variety of social backgrounds. Saturday Art-Time – which has been active since 2009 – is one of the National Gallery’s most successful museum education programmes and consists of a range of gallery-based art workshops for children 8 to 15 years old. The programme was designed to foster visual art expressions by children and encourage them to think and speak intelligently and critically about artworks. By utilizing the National Gallery’s permanent collection as a reference point for assignments, the students also learn much about Jamaican visual arts and culture. 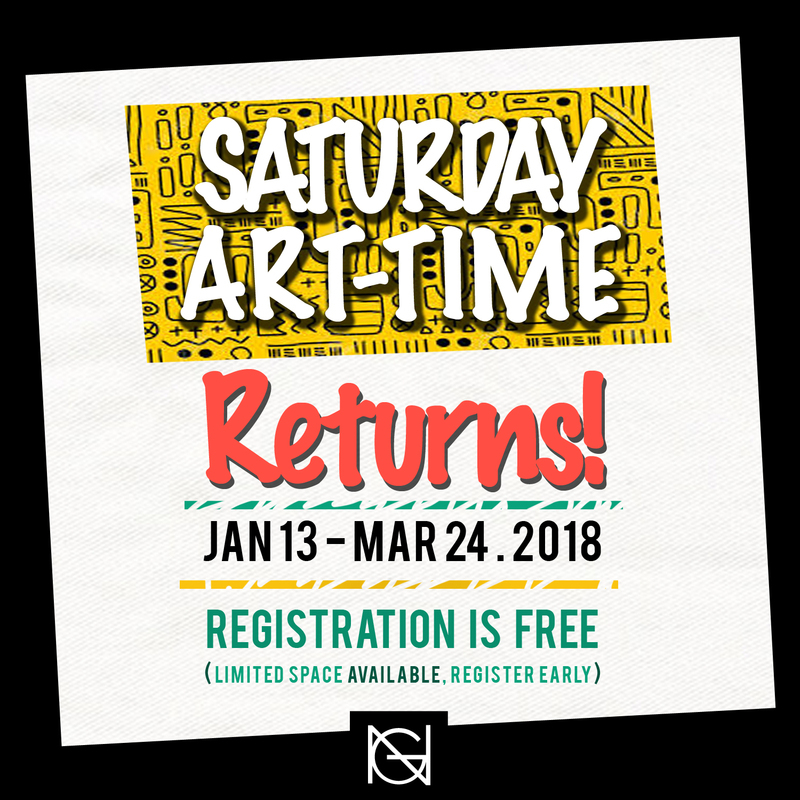 During its existence, Saturday Art-Time has also created and facilitated opportunities for participating child artists to exhibit their artworks, particularly in the Art’iT exhibition series. 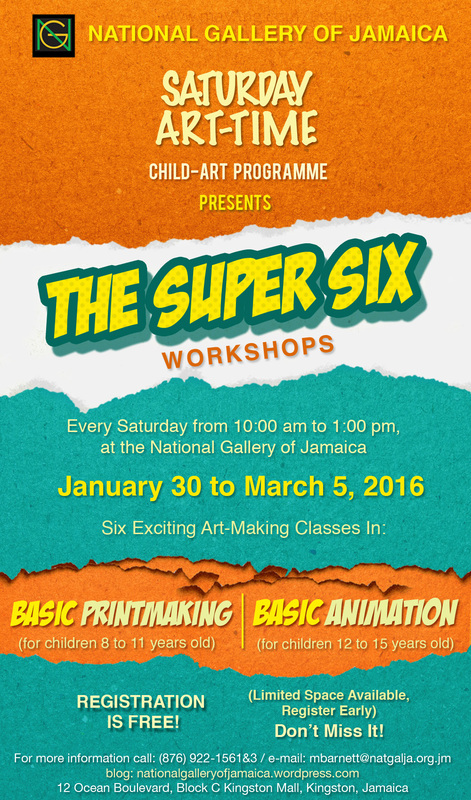 The Super Six Workshops will take place every Saturday from 10:00 am to 1:00 pm and will focus on one of two exciting topic areas: an Introduction to Basic Printmaking for participants aged 8 to 11 years old and Basic Animation for participants aged 12 to 15 years old. For further information, please contact the National Gallery of Jamaica at 922-1561/3 (Flow landline), or 618-0654/5 (Digicel fixed line). Emailed queries should be sent to info@natgalja.org.jm. Registrations forms for the workshops can be downloaded here or you can collect them at our offices at 12 Ocean Boulevard, Kingston. You can also find and ‘Like’ the National Gallery of Jamaica as well as the NGJ Education Department fan pages on Facebook. See you there! 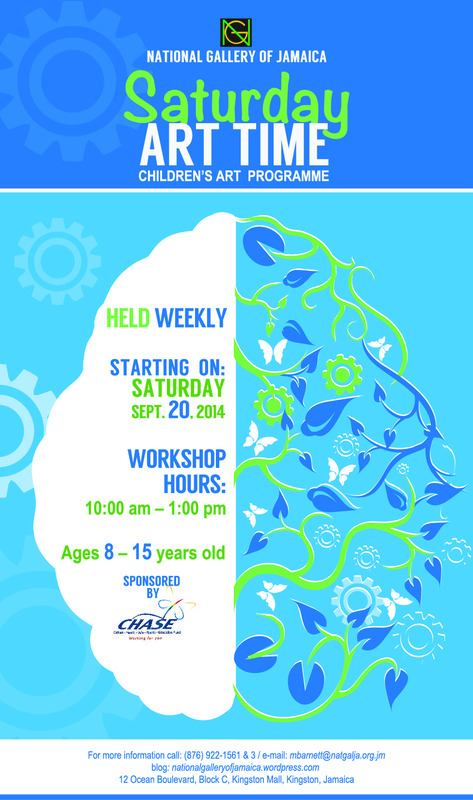 The National Gallery of Jamaica is delighted to announce the resumption of its innovative child art programme, Saturday Art Time, on Saturday September 20, 2014. The programme, which has been active since September 2009, consists of a range of gallery-based art workshops for children from ages 8 to 15 years old. Participants are taught a variety of art-making techniques such as drawing, painting, assemblage and collage. Additionally, these workshops provide an opportunity to learn about Jamaican culture and history through the Gallery’s permanent collection and exhibitions. Co-ordinated by the gallery’s Education Department, the programme has been highly subscribed by youngsters and their families as well as school groups from a variety of social backgrounds. As a result of the effectiveness of the workshops and the enthusiastic participation of the children, the gallery was able to inaugurate its biennial child art exhibition series, Art’iT. The exhibition was first held in 2011 and again in 2013, receiving very positive reviews. The workshops, funded by the Culture, Health, Arts, Sports and Education fund (CHASE), will be held every Saturday morning from 10:00 a.m. to 1:00 p.m. at the National Gallery. The workshops are free of cost but space is limited so applicants are encouraged to register as soon as possible. Registration forms are available at the National Gallery. For more information, contact the National Gallery’s Education Department at 922-1561 /-3 (Lime landline) or 618-0654 /-5 (Digicel fixed line) or via e-mail at info@natgalja.org.jm. The National Gallery of Jamaica offers a range of educational programmes, for adults and children, including guided tours, lectures, seminars, panel discussions, film screenings, workshops and outreach programmes to schools and community organizations. By far the most popular of these are the guided tours, which are tailored to the needs of specific groups. The Education Department also has a library with a unique collection of material on Jamaican art, including out-of-print publications such as the book Modern Jamaican Art (1998), and a collection of documentation on a wide range of Jamaican artists and related topics, along with supporting photocopy and printing services.